Paeonian Springs is an unincorporated community in Loudoun County, Virginia, United States. It is located at the intersection of the Charles Town Pike (State Route 9) and the Harry Byrd Highway (State Route 7). 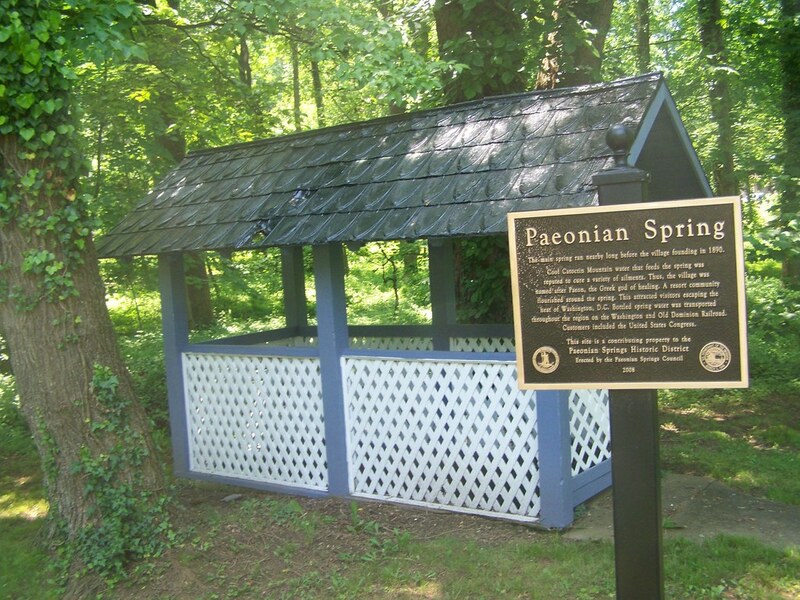 Paeonian Springs was established in 1890 to take advantage of its area on the W&OD railroad line and near a natural / mineral spring. Venturesome business visionary Theodore Milton initiated the Paeonian Springs Company in 1890, built up the town as a resort, summer retreat or a place to escape the hassles of city life by D.C. dwellers, then market the spring water's mending properties. The town flourished until the Pure Food & Drug Act of 1906 called into question many of the health claims made about the water. Currently, it has a post office, the famous Vino-9 Market which offers a great selection of beer & wine, and more. The National Register of Historic Places listed Paeonian Springs as a Historic District in 2006.